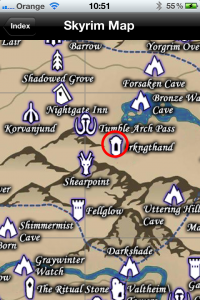 Skybird for iPhone / iPod includes a fully-interactive map of the world of Skyrim. You can zoom in or out, pan around the entire map in either portrait or landscape, and tap any location to bring up historical and strategic information about that location, as shown below. 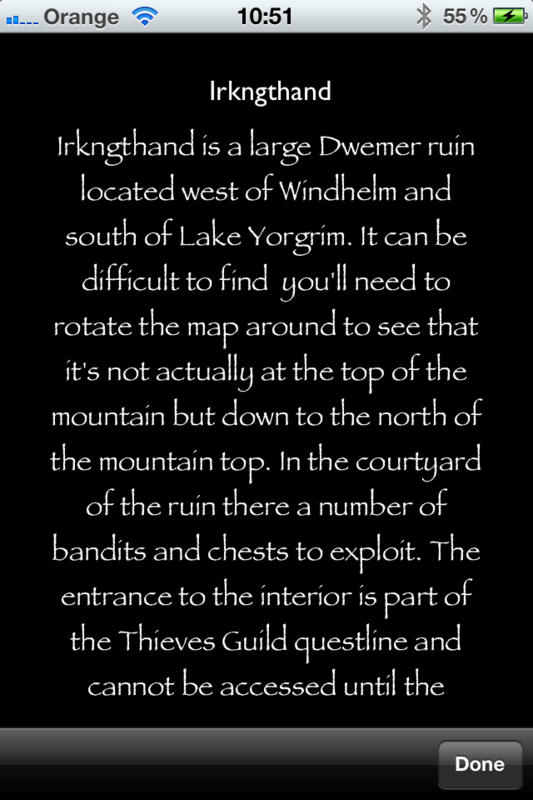 Every major in-game location is included, and the details can be scrolled up and down on the screen. 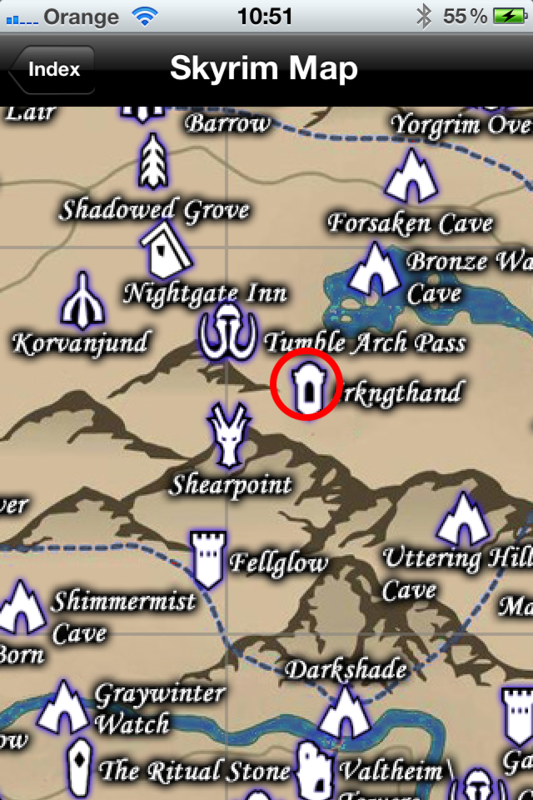 This is an invaluable resource for players of Skyrim – you can check the details of where you are going before you trek there, and see what you are likely to face when you reach that location or dungeon, so you can plan your arsenal and potions accordingly. Never again will you walk into somewhere unprepared for the battle ahead. 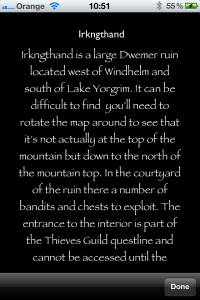 An update to the map is planned, to enable you to store custom locations.